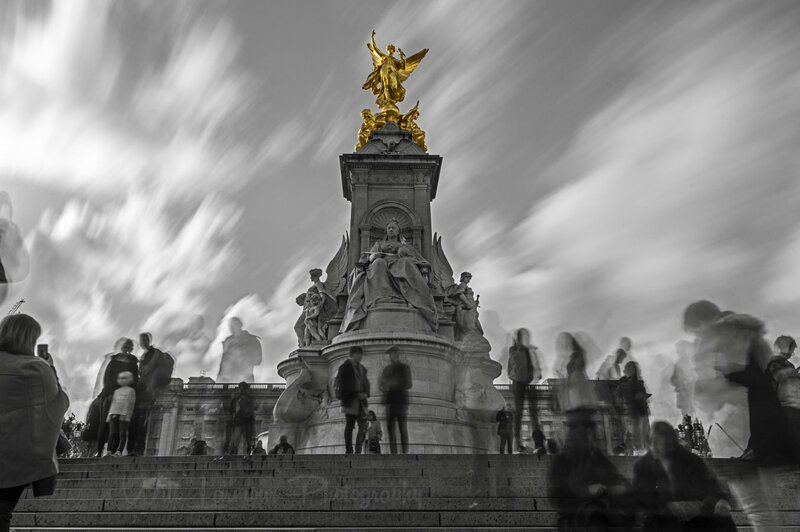 The area around Buckingham Palace was hectic so I decided to go for a longer exposure and a more abstract photo. Shows this wilfully long lasting queen against the unsteadiness of our time. Like this one a lot. The "ghosts" are great as is the golden angel on top of the monument. Thanks a lot. A long exposure seemed to be my best bet and I thought the gold tone worked well with the black and white.